Want more? 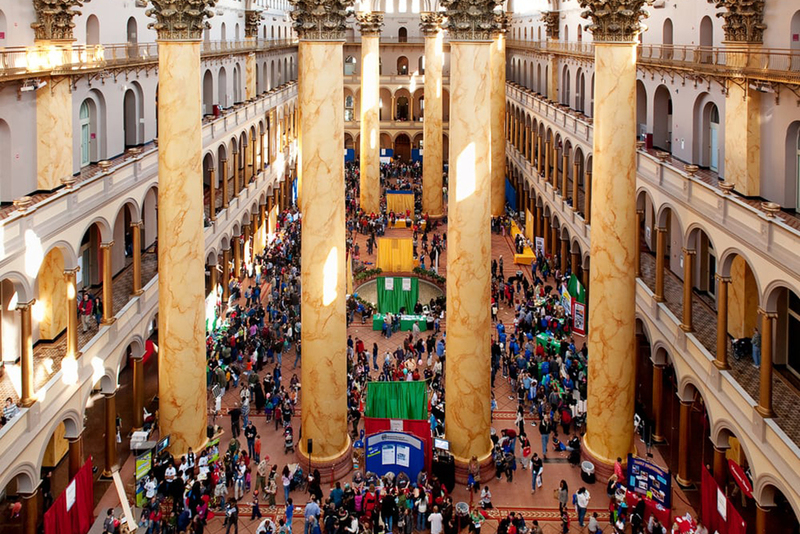 Explore our guides to the best Washington DC attractions, complete guide to the best things to do in Washington DC and some fun things to do with kids in NYC just a few hours away. If your kid's first question is usually "How does this work?" 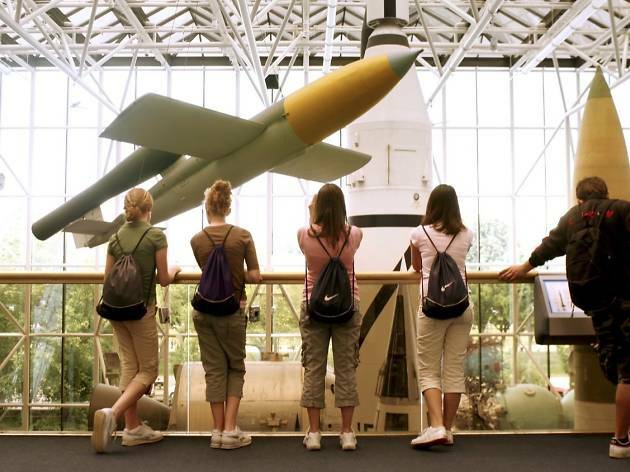 they're in for a treat at National Air and Space Museum, which is dedicated to air and space travel. 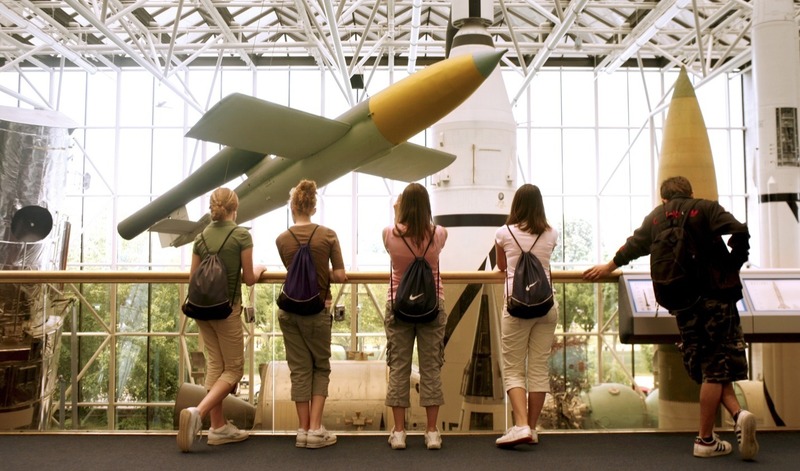 Kids can trade their paper airplanes and toy space ships for massive models and artifacts in person and learn about these vehicles through our fascinating world history (as well as from an inventor's perspective and engineering perspective, depending on the exhibit). 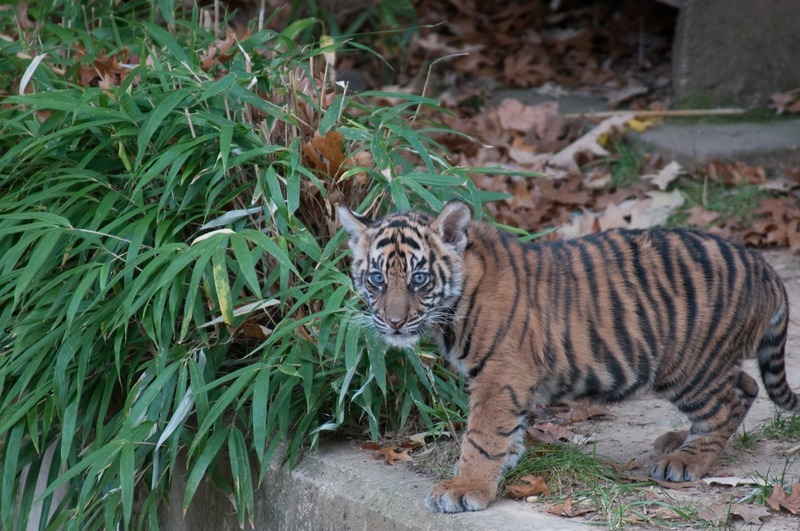 If you’ve heard that the National Zoo is a must-visit, you’ve heard right. The facility takes up 163 acres and cares for more than 1,500 animals of 300 different species. 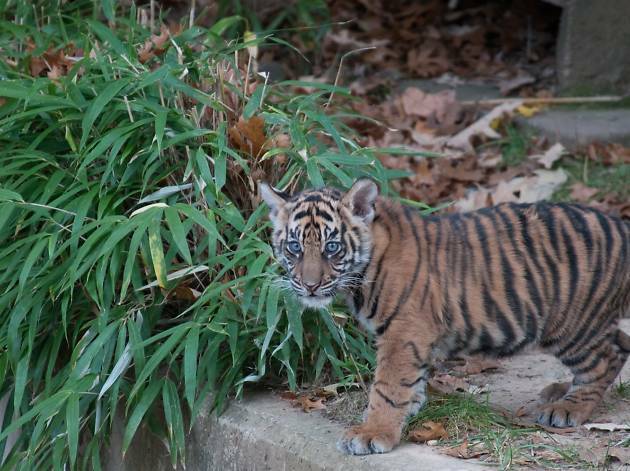 Kids will love seeing them and learning about the zoo’s dedication to conservation and research while wandering around the grounds. 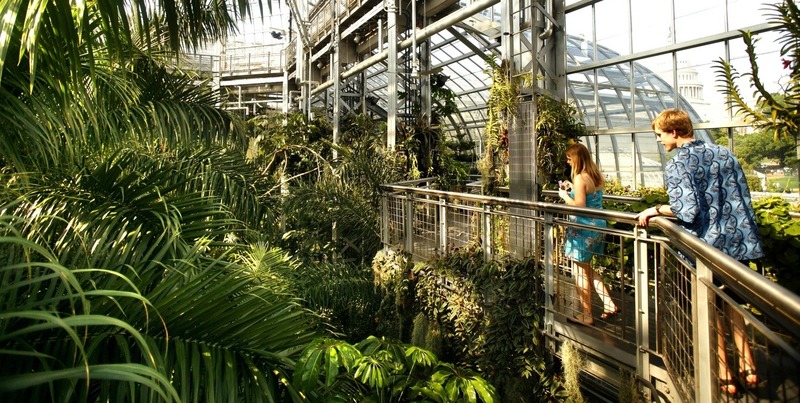 Visit a tropical wonderland (no matter the weather!) 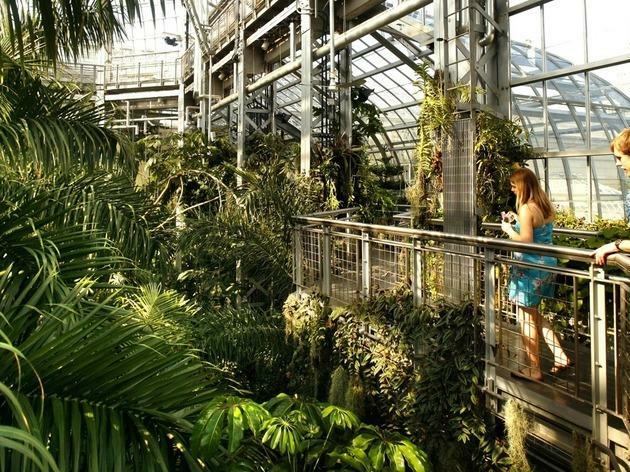 at this pristine conservatory and gardens located in the heart of Washington DC. Children will love the Butterfly Garden for obvious reasons, as well as the Rose Garden and wandering the National Garden (if the weather's fair). 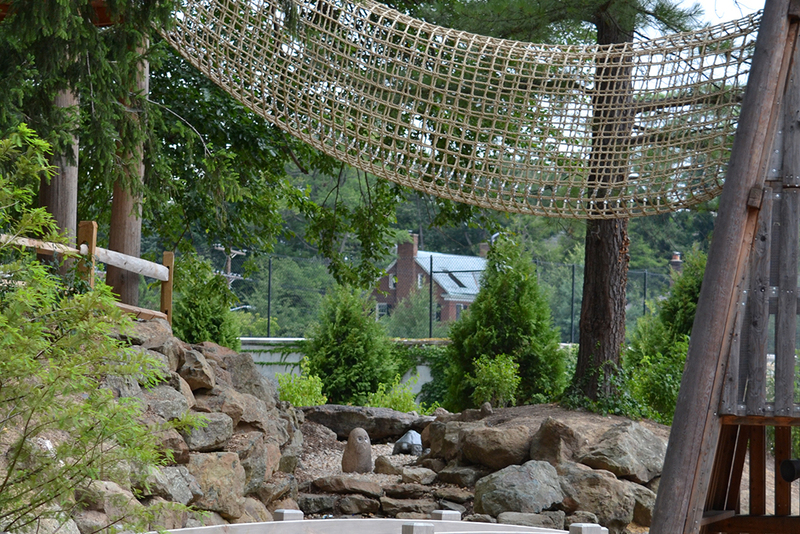 The Garden also hosts children's programming and opens a Children's Garden in spring and summertime. Be sure to stop by November–January for "Seasons Greenings: All Aboard!" (an annual tradition where the Garden's displays fill with winding model trains and stations). 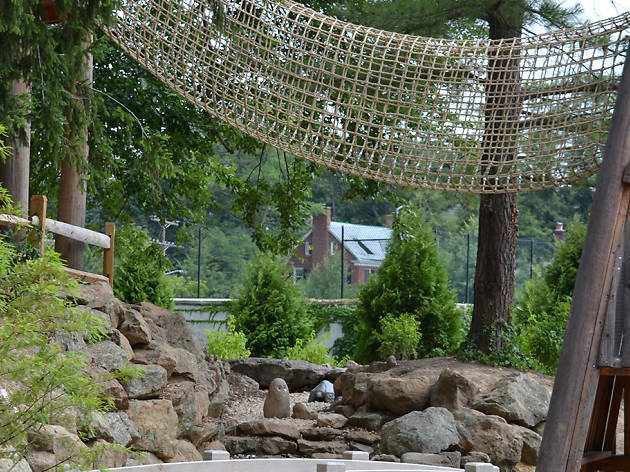 Rock Creek Park offers miles of scenic nature trails to explore, though for kids, the highlights are certainly the critter-packed Nature Center and captivating planetarium. At the Nature Center, you'll find fun educational exhibits for kids, as well as tanks with turtles and fish. 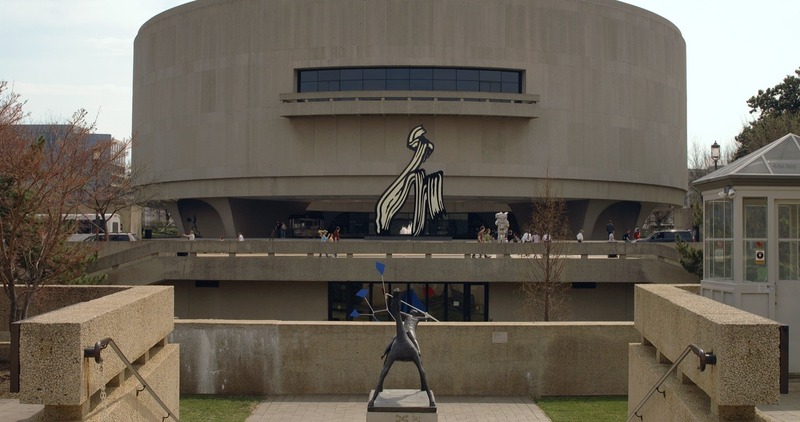 The planetarium generally has programming for young children (ages 4–10) on Wednesdays at 4pm. 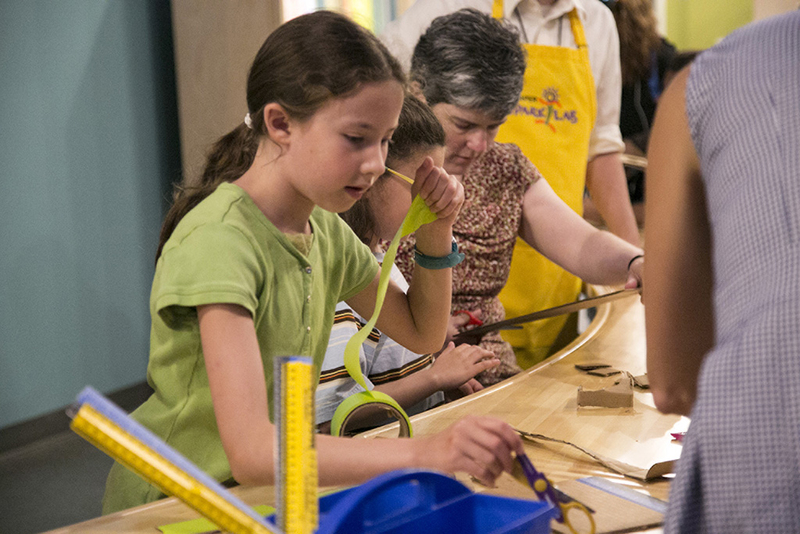 On weekends, stop in for Exploring the Universe (ages 7 and up). You can stop in a half-hour early to pick up free passes for all shows. Be sure to double-check the hours for both the Nature Center and Planetarium before visiting! 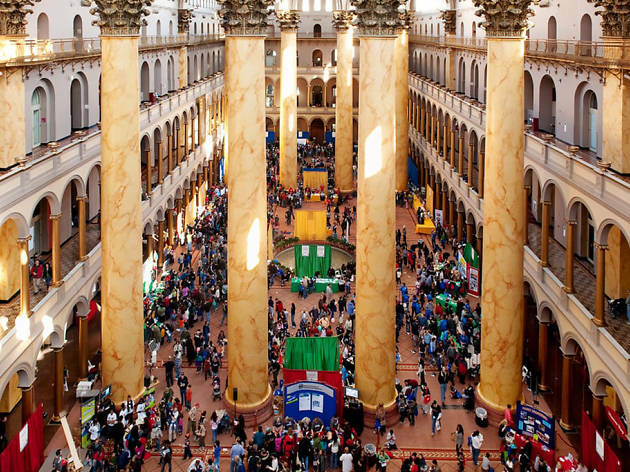 Your tween history buffs will dig the cultural, social and political histories this fantastic museum digs into. Dive into exhibits based on themes like food, women's history, Latino history and World War I, as well as information on America's most interesting inventors, discussions of religion in America and more interesting topics. 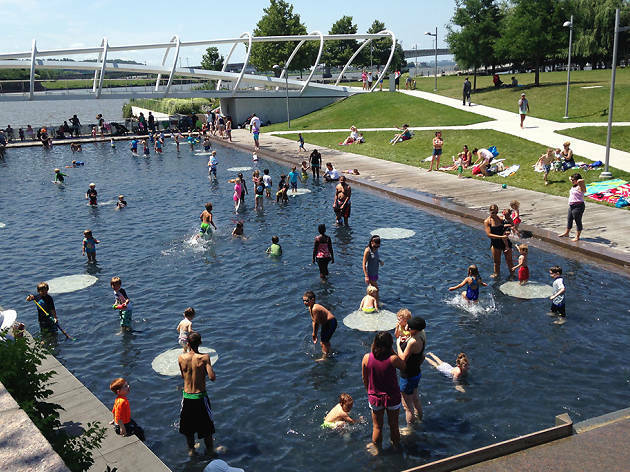 Let your kids wave at the ducks swimming up to shore or splash in the popular fountain during warmer months on this 10-acre city park space. 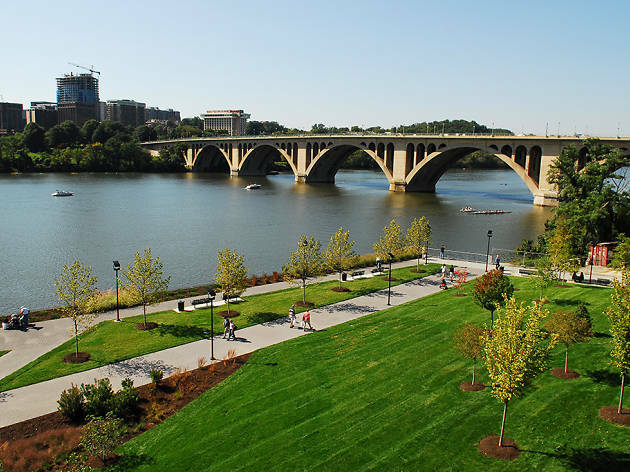 Boasting views of the Potomac River and the Key Bridge, it’s a relaxing place to take in the city’s lush greenness. If your family wants to get a little more interactive with the water, rent canoes or kayaks from the Thompson Boat Center. If the kids are into biking, opt to take them on a trip down the area’s dedicated trail (bikes are also available for rent). 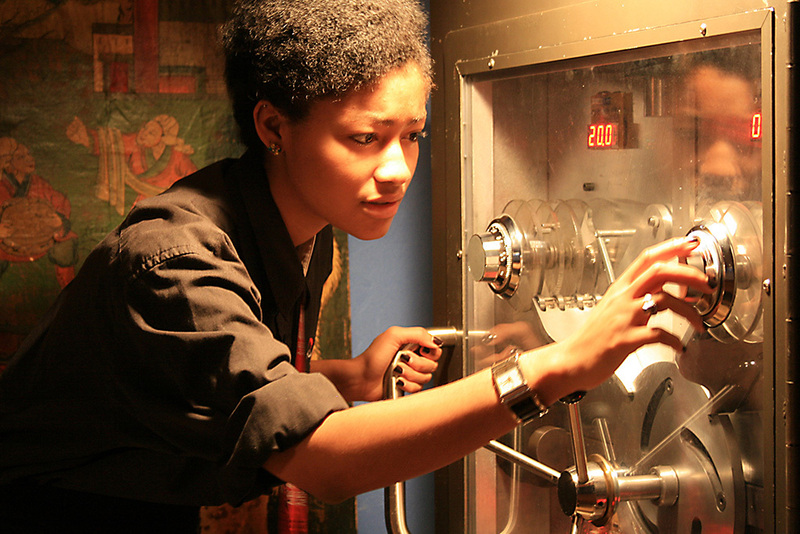 This is the only public museum that focuses exclusively on espionage—and it will teach your kids about the fascinating spies who have contributed to world events. 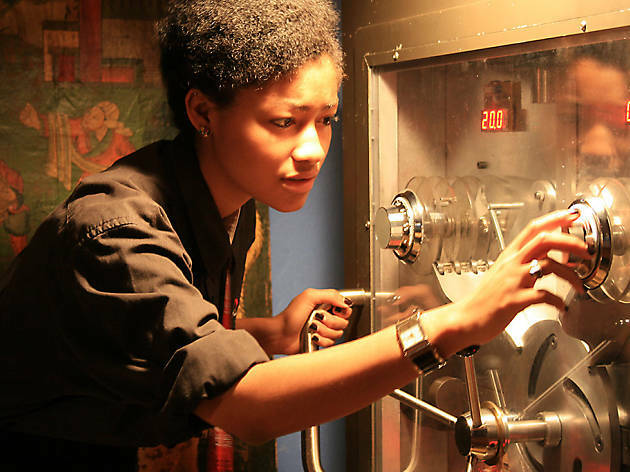 Attendees will get to glimpse at special equipment, including cameras and vehicles, and sign up for programs (ideal for kids under 10) that will have them embark on secret missions, climb through duct work, diffuse an atomic bomb, hang from a construction site and test their own spy skills. Try visiting on weekdays to avoid crowds and, if weekends are your only option, come early. That shouldn’t be hard if your kids are serious about espionage: The best spies are always on time. Did you know that this innovative museum actually offers kid-friendly activities? We thought so. The STORYTIME+ program is intended for children who are infants or younger than 6 (nursing mothers are welcome!). Launched last fall, this program spotlights a different artist, book and hands-on activity every Wednesday at 10am. 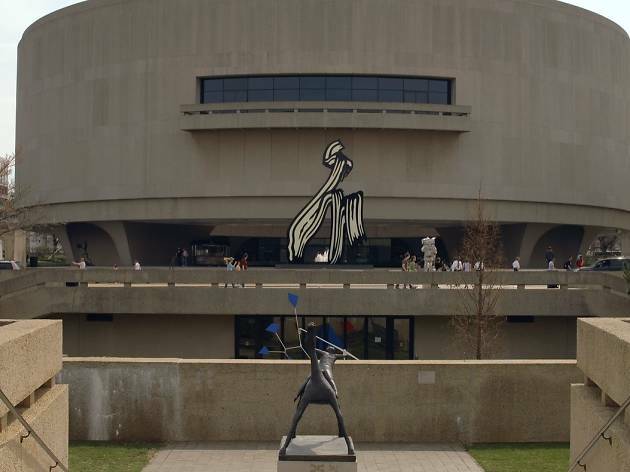 It’s a lovely way to spend the morning with your youngest ones—and take in a little culture yourself. This baseball park designed for fans of all ages offers special programming for kids, including giveaways and a play area featuring a jungle gym, in case the little ones need a break from the stands. Opt for the Harris Teeter Family Fun Pack—available Fridays, Saturday and Sundays throughout the 2018 season—which includes a game ticket, hot dog and beverage (and lets you save on the regular price of a meal and ticket). Bonus for wannabe baseball stars: kids ages 4 to 12 can run the bases—yes, on the field—after Sunday home games throughout the season, weather permitting. So bring on your Natitude, and have a nice time. Another segment of Rock Creek Park to be explored, Pierce Mill (from the 1820s) is perfectly situated near a parking lot and picnic tables, making it an ideal spot for families with young kids to explore. From April through October (two Saturdays each month), you can see the Mill in action and stop in for demonstrations, but it's still exciting to visit either way, since you can get a glimpse of some cool old-school construction and millstones. Nesting isn’t just for birds. 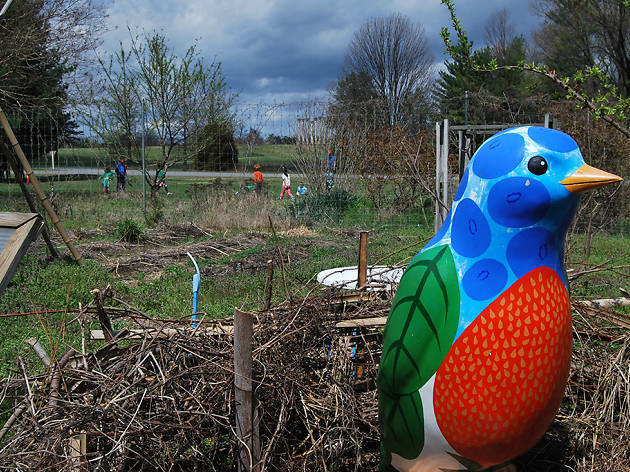 Kids will love seeing this garden’s (pretend) giant bird and sitting in its child-sized nest when exploring this part of the U.S. National Arboretum. 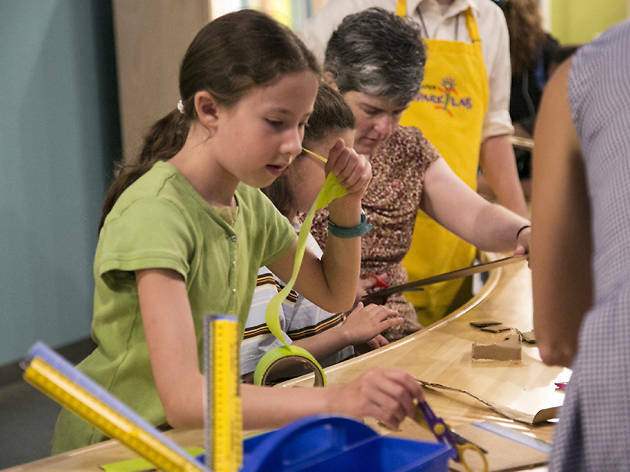 Devoted to research and public engagement, this kid-friendly section seeks to enhance science learning, “inspire environmental stewardship” and encourage healthy food choices. 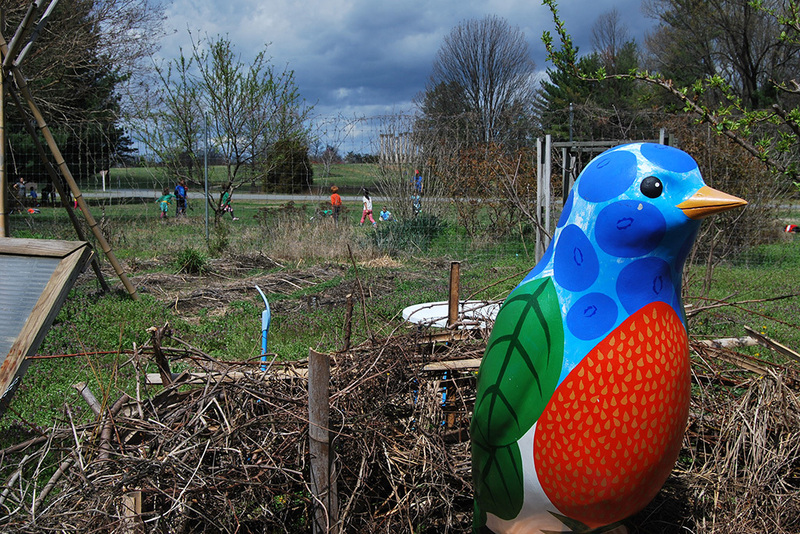 The garden works with area schools but is also open to the public. 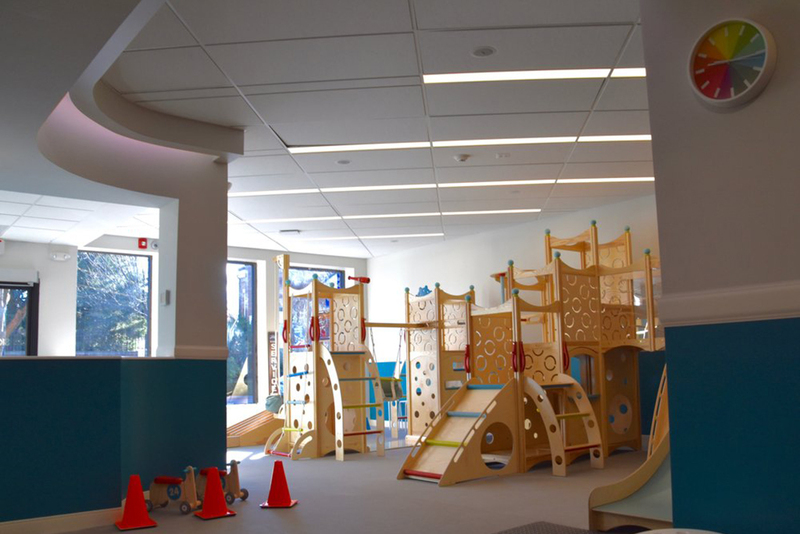 Watch your kids take in the whimsical garden designs or climb in the play area (they can meander over tree stumps and logs—a fitting activity) when dropping in. Sometimes kids just need to run around and play. When that happens, take them to this private school playground. Open to the public when the National Cathedral Elementary School is closed (typically after 6pm weekdays and on weekends), this playground was designed with the idea that outdoor play is important to children’s development. You’ll find structures and spaces for kids of all ages, including swings, climbing structures, wooden bridges and even a zipline. Stop into the National Cathedral nearby after your play session but just make sure little ones relieve themselves before you visit. This playground, while fantastic, has no public restrooms. Get your fill of architecture, engineering and design at this unique museum dedicated to everything from towering skyscrapers to incognito cities—even the stories of how household goods have changed over time and how modern architecture is changing to accommodate the needs of the modern American. 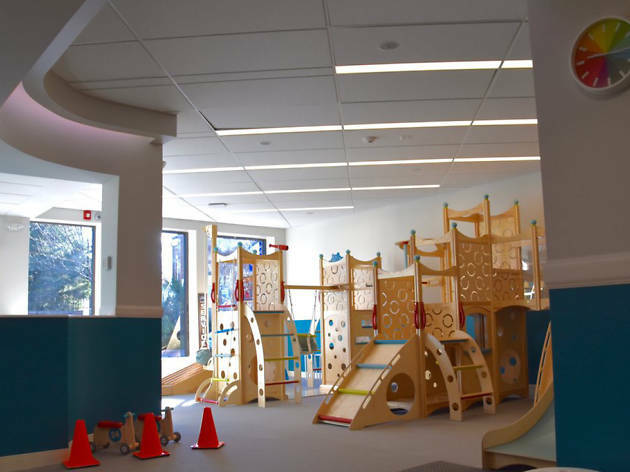 Littles (ages 2–6) should cruise by the Building Zone complete with construction play trucks, a pretend hardware store and dress-up gear, as well as Play Work Build, home to a massive foam play-block area. 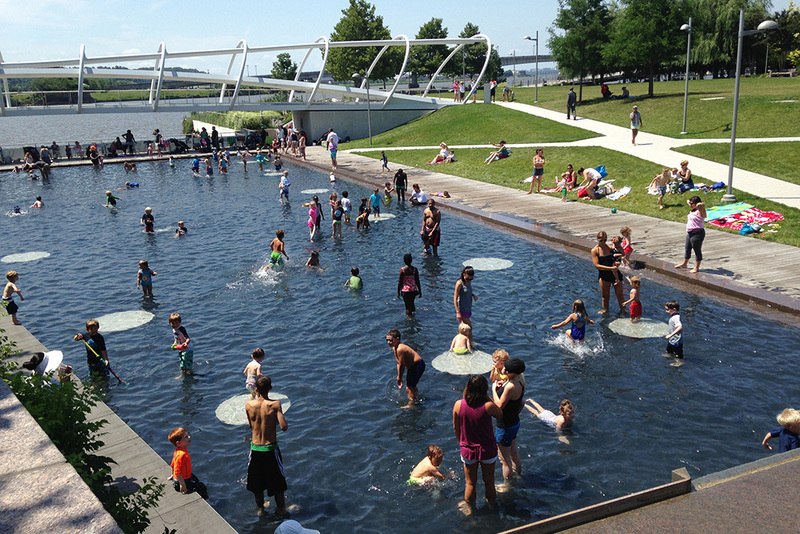 With ten acres of parks in Southeast Washington, Capitol Riverfront Park is a crowd-pleasing destination. Start your visit at this sustainable and neighborhood-centric green space, located on three acres of the city. It’s home to seasonal markets and festivals along with dancing fountains when it’s warm and ice skating in the winter. 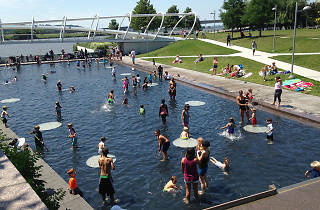 The Yards Park is a riverfront spot perfect for family recreation or even a relaxing picnic. 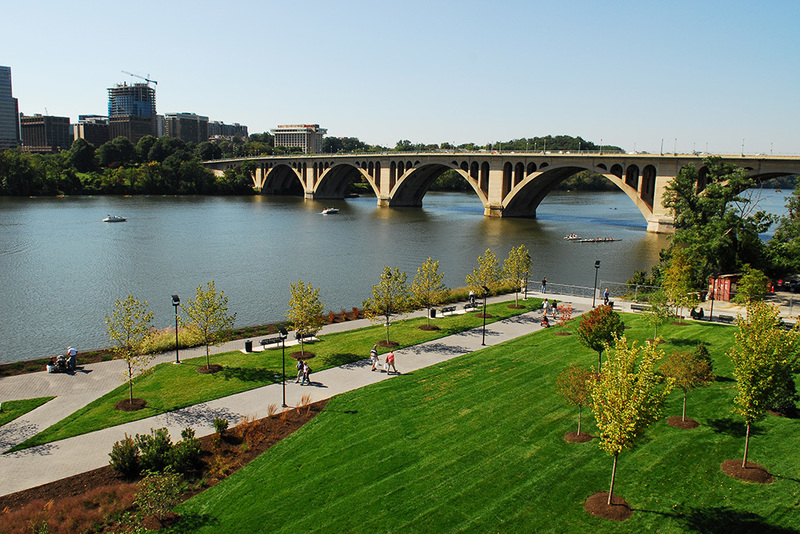 You’ll find dancing fountains at the entrance, a dog park (in case you bring your fur babies, too) and a pretty bridge that connects the area’s Great Lawn and Overlook. 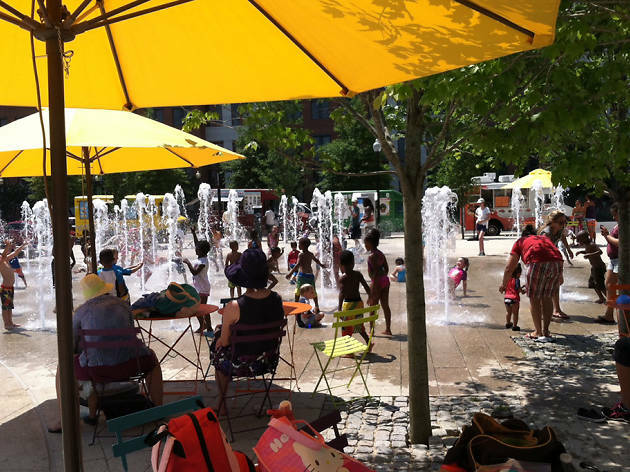 Check the calendar for family-friendly events. 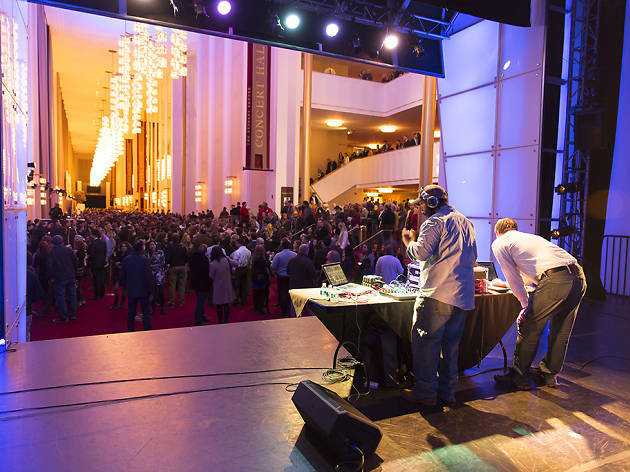 Your kids may not be ready for a full-on opera (that’s what date nights are for), but they can certainly enjoy one of the Kennedy Center’s daily free shows on the Millennium Stage. 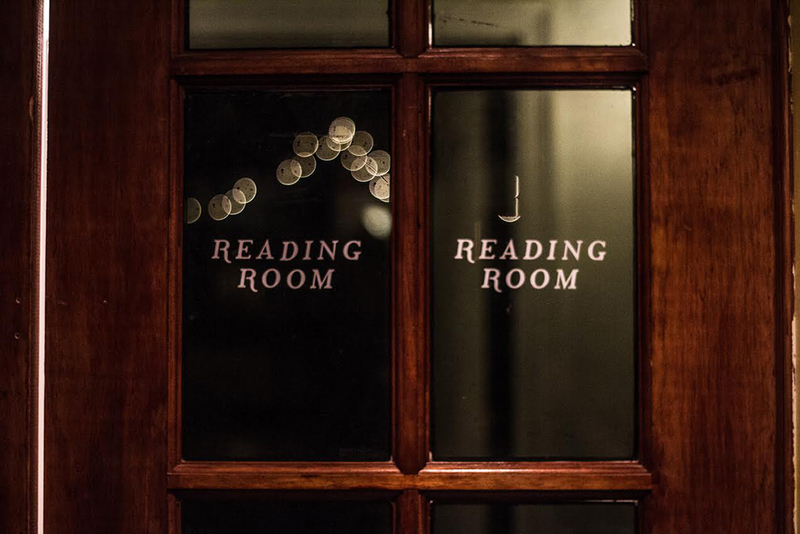 With performances at 6pm every day of the year, you’re sure to find something that will appeal. 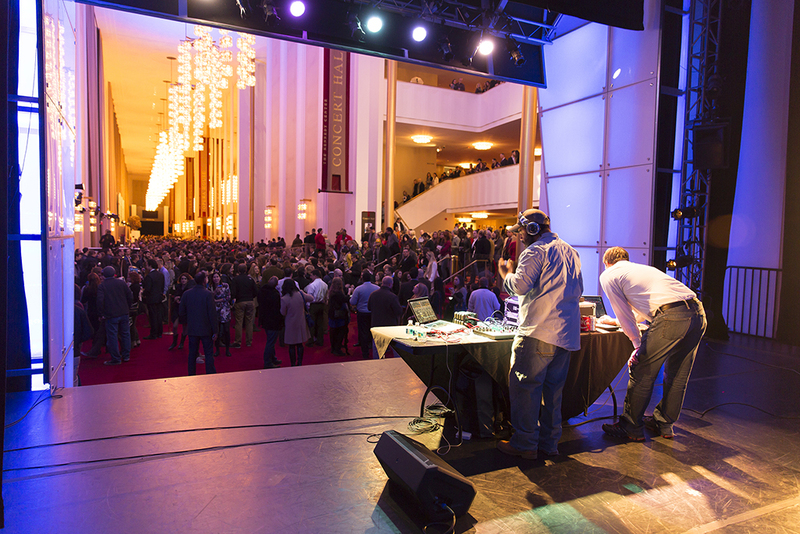 Park yourselves under the Kennedy Center’s beautiful high ceilings as you watch everyone from visiting orchestras and singers to instrumentalists and dance troupes do their thing. Kids may be particularly intrigued when their fellow, school-age performers take the stage (which does happen). This District destination is a national historic landmark. 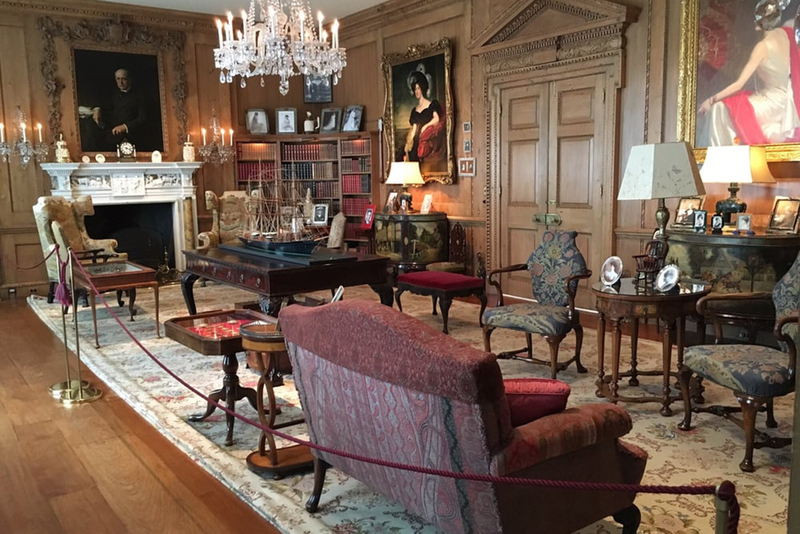 Completed in 1816, the neoclassical house opened its doors to the public in 1988 and seeks to connect visitors to their own stories and to American history. House tours are available, though you may want to embark on those with your older kids. You and your nature-loving progeny can also enjoy tours of the 5.5 acres of broad lawns and kid-friendly nooks (self-guided and guided options are available). Pick up a print map when you arrive and, if you visit this summer, look out for the forthcoming smartphone audio tour. 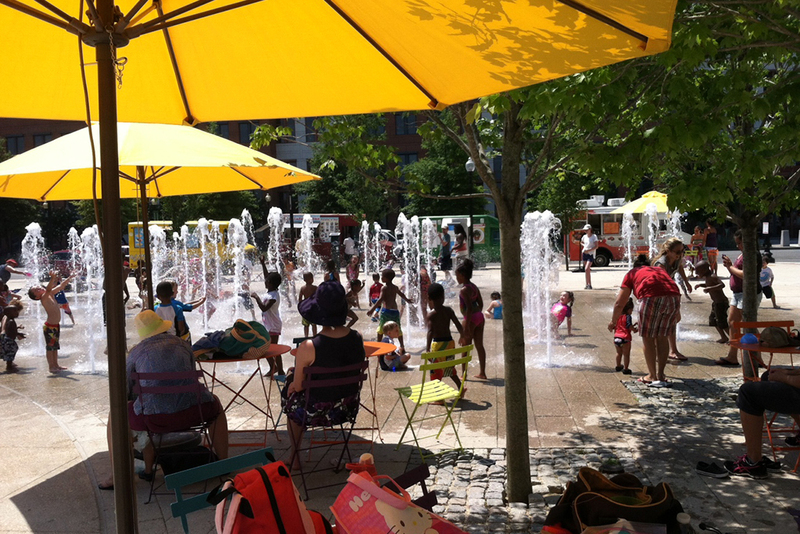 You’ll also find various festivals and programs at this urban oasis. 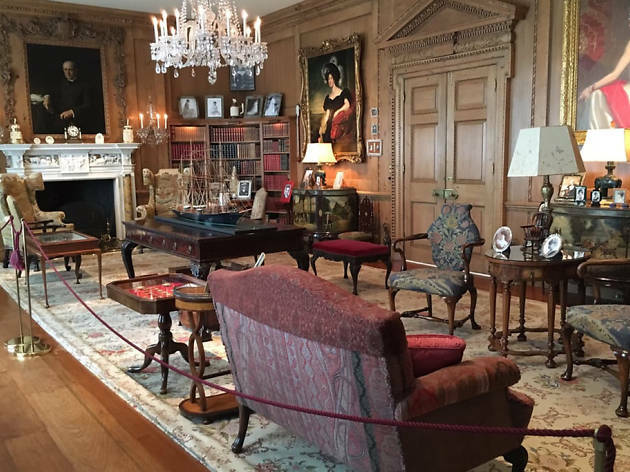 This Northwest Washington estate turned museum includes an 18th century French decorative art collection, a Russian imperial art collection and 25 acres of gardens. If your child is more into culture than cars and trucks, this is a nice, family-friendly destination. Walk the grounds while discovering treasured art pieces and participate in programs that involve dance, music and storytelling. The museum even suggests imaginative games to play as you stroll, including posing to look like one of the many statues or portraits on the property. This destination is best for kids who can stay on the beaten path, as running around the grounds is discouraged. The local library is always a must. And the DC Public Library system offers more than book-borrowing to draw kids in—though the books, of course, are key. 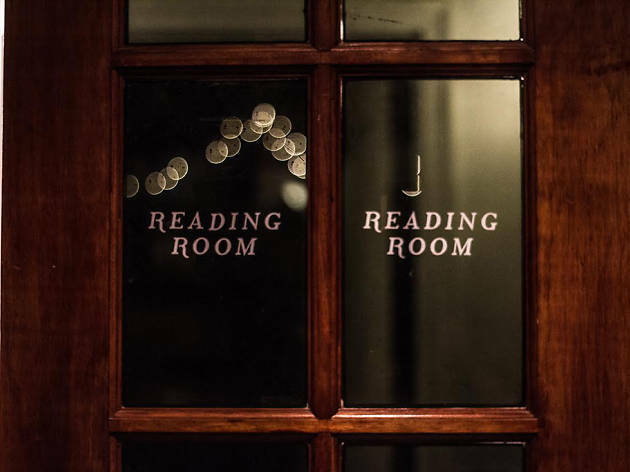 Visit the Petworth location for kid-friendly classes and events, look for programs like family story time, which runs 30 to 40 minutes and features literacy activities, or try baby and toddler story time, which includes 20 to 30 minutes of books and songs for children up to age 2. Bilingual story time is available in English and Spanish for children up to age 5—and for “their adults,” as the library cheerily notes.